The hoatzin is a South American bird with some strange features. It’s also called the reptile bird, the skunk bird, and the stinkbird. It's known for its unusual digestion method, an unpleasant smell, clumsy movement, and noisy behaviour. It's also famous for the claws on the wings of the young birds. Thankfully, it isn’t endangered, so we have time to investigate this bizarre bird and its life. 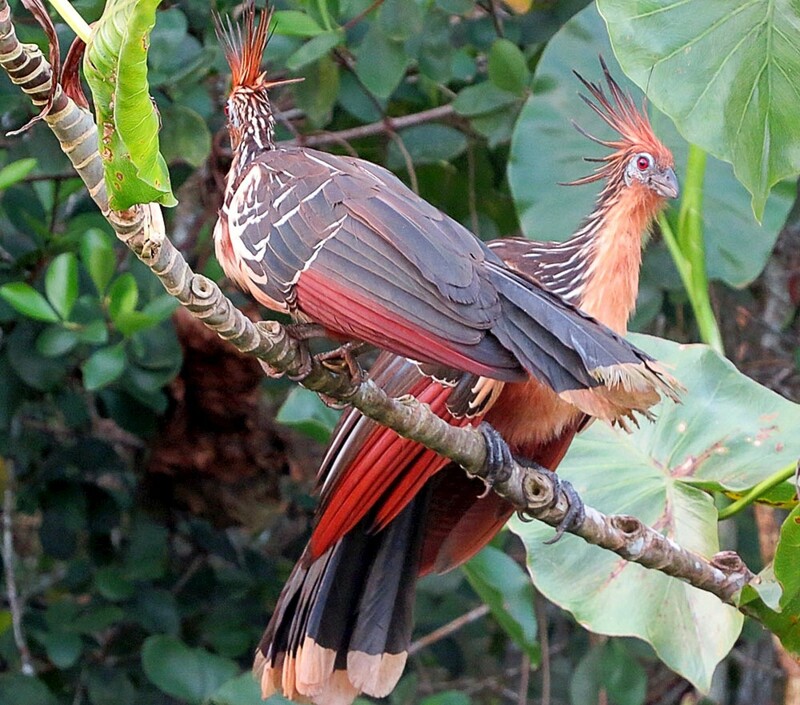 In this article I list thirty-six facts about the hoatzin that may be new to you. The correct pronunciation of the hoatzin's name is approximately what-seen. Many people pronounce the word as ho-at-zin, however. The name is said to have originated from the Nahuatl language. This was the language of the Aztecs and is still spoken in Mexico. 1. The scientific name of the hoatzin is Opisthocomus hoazin. The species name is spelled differently from the common name of the bird. 2. The bird belongs to the family Opisthocomidae and the order Opisthocomiformes. 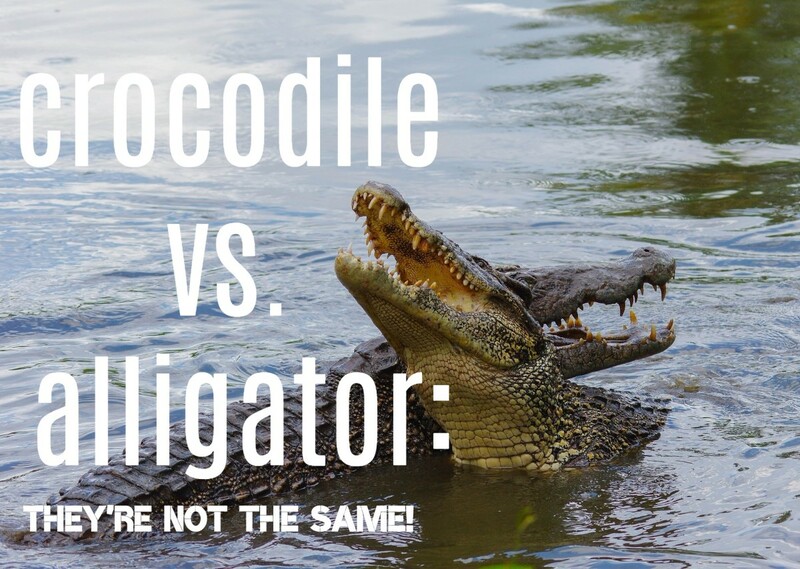 It's the only member of its genus, family, and order. 3. The exact relationship of the hoatzin to other birds is uncertain. It seems to have had a very ancient origin. 4. Some evidence suggests that the bird originated in Europe. Fossils resembling bones of the hoatzin have been found on the continent. Younger fossils resembling the bird's bones have been found in Africa. 5. Researchers suggest that the birds travelled between continents on rafts of vegetation, as some mammals and reptiles are believed to have done. The continents were once joined together, but they separated long before the deposition of the hoatzin-like bones. 6. The hoatzin is about the size of a pheasant and may reach a length of twenty-six inches. Males and females look the same. The bird is quite colourful, especially when its wings are open. 7. The small head bears an untidy crest of long, spiky, and orange feathers. The crest causes some people to refer to the hoatzin as the "punk rock bird". The bird's neck is quite long. 8. The sides of the face are pale blue to sky blue in colour and have no feathers. The eyes are dark red. 9. The undersurface of the neck and body is buff or orange. 10. The wings are dark brown, grey, or black, except for the outer feathers, which are a lovely red to rusty red colour. The sides of the body under the wings are orange or a shade that is referred to as "rufous-chestnut". 11. 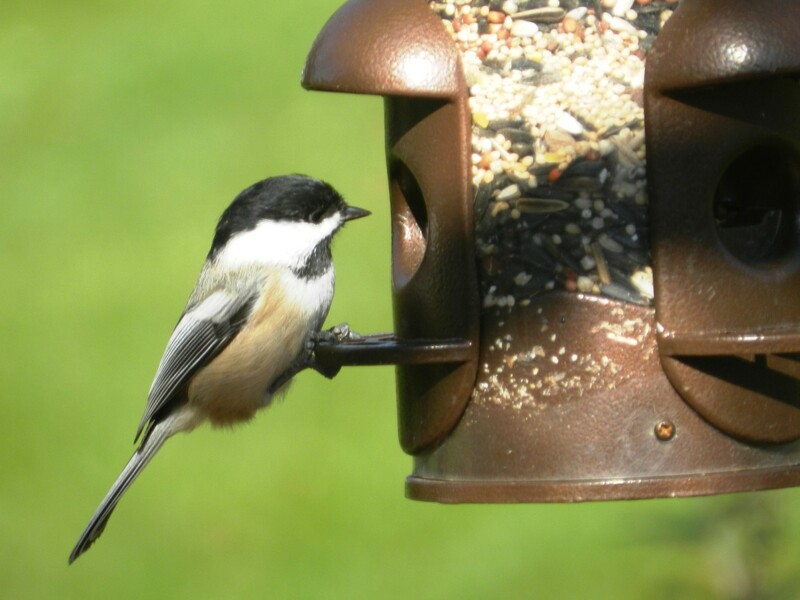 The tips of the dark tail feathers are buff to yellow in colour. 13. The bird is often seen perched on trees and shrubs in wetlands. 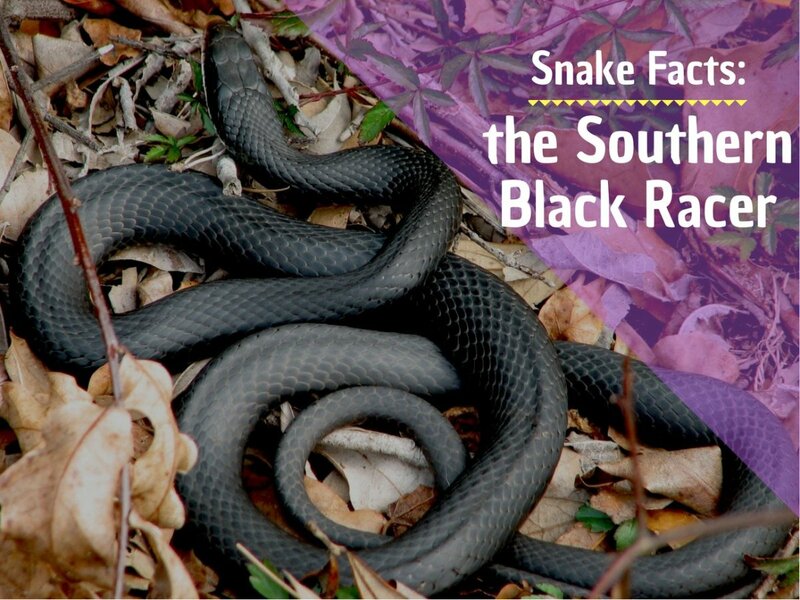 It's found in areas with dense vegetation that are beside slow-moving rivers, lakes, and swamps. 14. The hoatzin is the national bird of Guyana. 15. Hoatzins are herbivores. They primarily eat leaves and buds with the addition of some fruits and flowers. They may accidentally ingest insects that were on the plants, but they don't deliberately seek these animals out. 16. 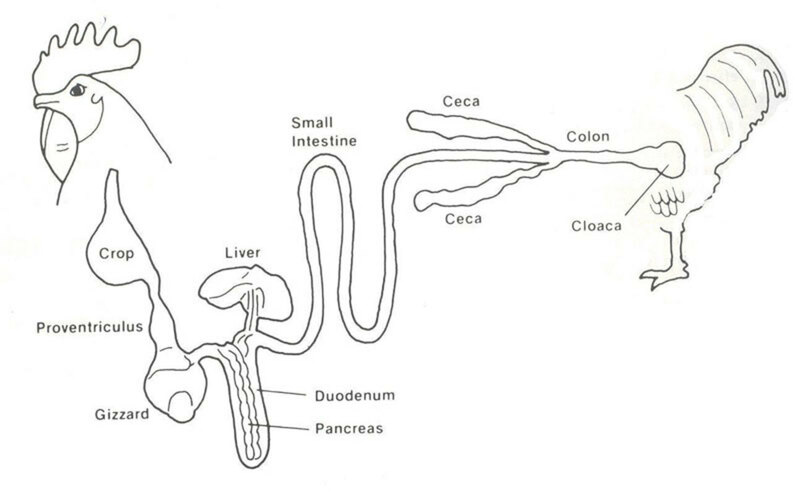 The digestive tract of a bird contains extra chambers compared to that of a human, as shown in the illustration above. The crop is a pouch joined to the esophagus. The stomach consists of two sections: the proventriculus and the gizzard. 17. The hoatzin's lower esophagus and crop are unusually large. Bacterial fermentation of food in this area helps to break down food so that it can be absorbed. The process is similar to that in the rumen of a cow. The crop contains ridges that help to break the food up. The hoatzin is the only bird known to carry out foregut digestion. 18. The fermentation produces chemicals that can smell unpleasantly like dung to humans. They are released from the bird's gut, giving the animal the name of skunk bird or stinkbird. There is some debate about how common or strong the smell is, however. It may be variable in appearance or strength or may smell the strongest to people who are particularly sensitive to the odour. 19. The birds appear to get most or all of the water that they need from the leaves that they eat because they are rarely seen drinking. Hoatzins in effect are flying cows: their diet primarily is young leaves and buds, which are digested in the crop with the aid of bacteria and microbes. 20. Hoatzins are very social animals and are sometimes seen in small or large groups. 21. They appear to feed early and late in the day. At other times they preen their feathers, sunbathe with open wings, or wash in puddles of rain trapped in the trees. 22. The birds are frequently detected by the sounds that they make. They are often very audible as they crash through the trees and vocalize. 23. Hoatzins produce several kinds of sounds, including grunts and croaks. The sounds enable the birds to remain in contact with each other. The birds also hiss when protecting their chicks. 24. The bird's sternum (breastbone) is reduced in size, apparently due to the space occupied by the enlarged crop. Flight muscles are attached to a bird's sternum. The small sternum of the hoatzin contributes to its weak ability to fly. 25. The birds spend most of their time climbing over branches instead of flying through the air. When they do fly, they travel only short distances. 26. Hoatzins exhibit a behaviour known as sternal perching. They rest their sternum on a branch as they perch. 27. Reproduction occurs during the rainy season. 28. 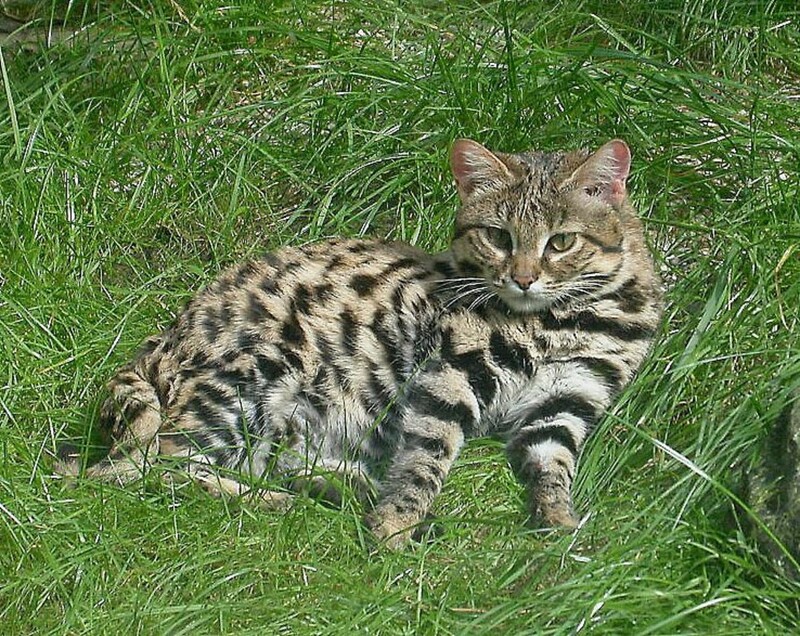 Hoatzins aren't territorial during most of the year but become so during the breeding season. The breeding pair and several helpers defend the nest area. In some cases, it's known that the helpers are offspring from the previous clutch. Hoatzins don't breed during their first year of life. 29. The birds nest in colonies. They defend the nest area from members of their own species and from predators. 30. The female creates a nest made of sticks in tree branches that overhang flooded land. A clutch consists of one to three eggs. 31. The eggs are incubated for around thirty-two days. 32. Researchers have discovered that the helpers aid in building the nest, incubating the eggs, and rearing the chicks. 33. The chicks have two claws on the front of each wing. These are eventually lost. They remind some people of the three claws on each wing of Archaeopteryx. There is no evidence that hoatzins are related to Archaeopteryx, though. 34. If an avian predator such as a hawk approaches the nest, the adults try to distract it. The claws help the chicks to climb over branches and hide from the predators. 35. The youngsters have another way to protect themselves. They drop from the nest into the water of the flooded land below. They can actually swim underwater and then find their nesting tree. They climb up the tree trunk with the aid of their claws until they reach the nest. The escape mechanism can be helpful, though sometimes the water contains predators eager to eat the chicks. 36. For up to two months after hatching, the chicks feed on food regurgitated by an adult. When they swallow the regurgitated material, the chicks obtain the bacteria that they need for digesting plants. The chick's wing claws are interesting, but they aren't entirely unique. Some turaco chicks also have claws on their wings. Turacos are arboreal and herbivorous birds that live in Africa. The IUCN (International Union for Conservation of Nature) classifies the hoatzin in its "Least Concern" category. The bird is sometimes hunted for food, although it's said that its smell discourages this activity. In addition, its habitat is sometimes destroyed. In general, though, it appears to be doing okay at the moment. The IUCN does say that its population is decreasing, however, which could be a warning for the future. Hoatzins are unusual birds and an interesting part of nature. 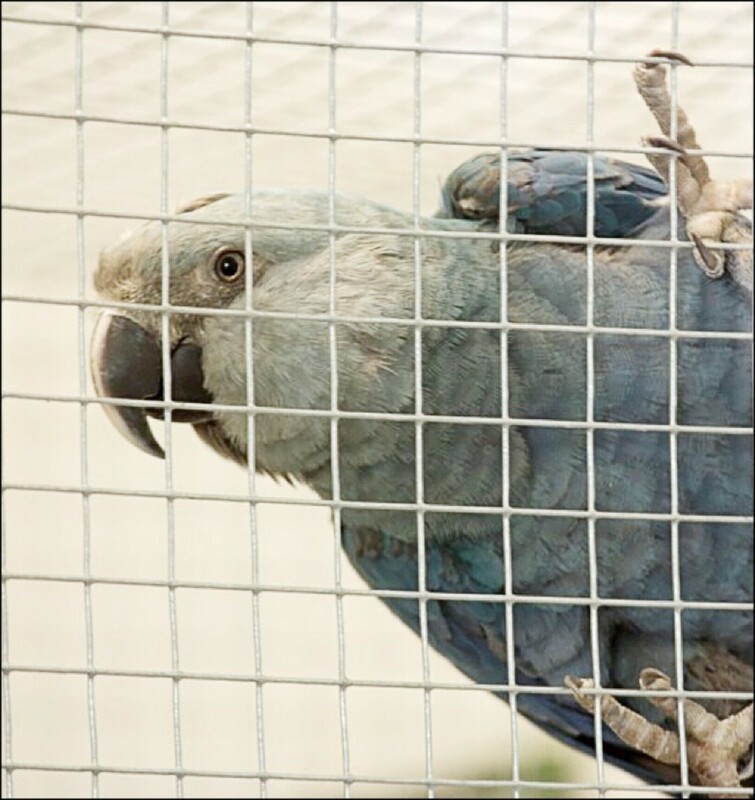 The birds are hard to keep alive in captivity and haven't survived for long in this situation. There may be important facts about their biology still to be discovered. Hopefully we will soon learn more about their life and their origin. Do Hoatzins poo (or defecate)? Hoatzins and other birds do produce feces, but it’s released with their urine instead of on its own. The waste substances exit the body through an opening called the cloaca. Hi, Suhail. Thanks for the visit. The crow pheasant is currently classified in the cuckoo order and family, although it's non-parasitic. The hoatzin is classified in a different order and family, so biologists don't think that the birds are closely related. Never heard of this bird before. I am so glad that I learn everyday about an animal that I had never heard of before. I am surprised that such a wide ranging bird is not covered in wild bird books as all. The older bird looks much like crow pheasant or coucal pheasant of Asian Subcontinent. Are we sure that they are not related? Thank you, Ann. I appreciate your comment very much. I love the expression "flying cow"! It does seem appropriate. Flying cow? Brilliant! I think these birds look like a prehistoric chicken but much prettier. You've gone into great detail here, Linda. 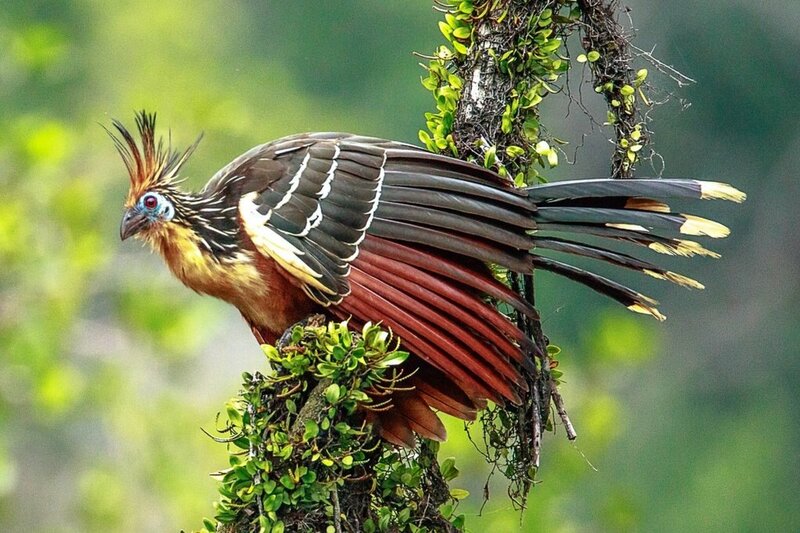 I'd never heard of a hoatzin but it's a fascinating creature. Great research and beautifully presented hub. Thanks for the visit, Peggy. The claws are certainly helpful for the chicks. They are an interesting feature. 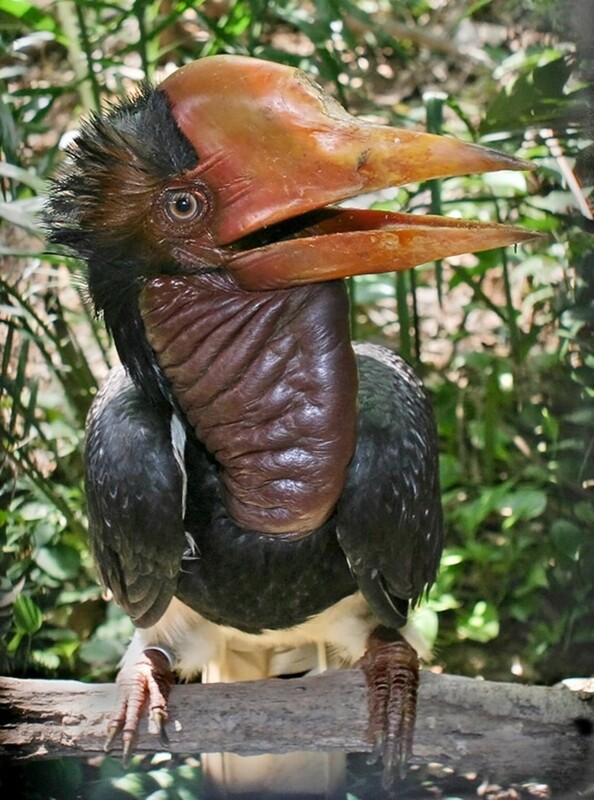 This is certainly an interesting looking bird. I had never heard of a hoatzin or stinkbird so thanks for the education. The videos were good to watch. Those claws on the young birds' wings are really useful! Hi, Heidi. Dealing with the smell could be interesting! I hope you have a good week. Hi, Dora. I think the birds have interesting habits, too. They are certainly worth studying. Again, you have introduced us to another creature I had no idea existed. If they do, indeed, smell the way they do, we can understand why they're not featured in the zoo. :) But they do look beautiful! 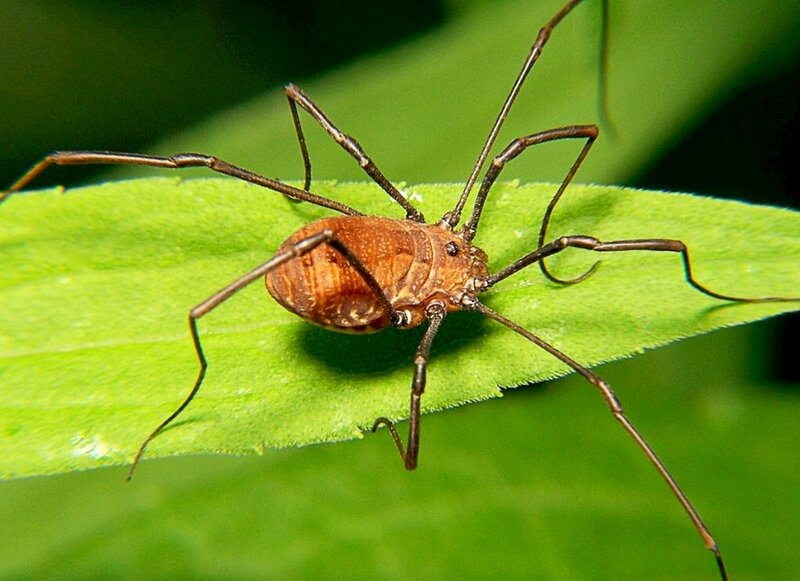 Such an attractive creature with a name and characteristic that do not match its beauty. They do have interesting habits and survival skills. Thanks for the information. Hi, Bede. I'd love to be surrounded by wild turkeys as you are. I think they would be interesting to observe and study. Thanks Linda for the introduction to this very interesting bird. I had never heard of it but some of its characteristics remind me somewhat of the wild turkeys that live all around me, such as its sociability, rareness of flight, and bizarreness. I like best the fact about the chicks jumping into the water below and climbing back up. Thank you very much, Devika. I hope you have an enjoyable weekend. I love birds, too, Pamela. The ability of the chicks to swim underwater is interesting. 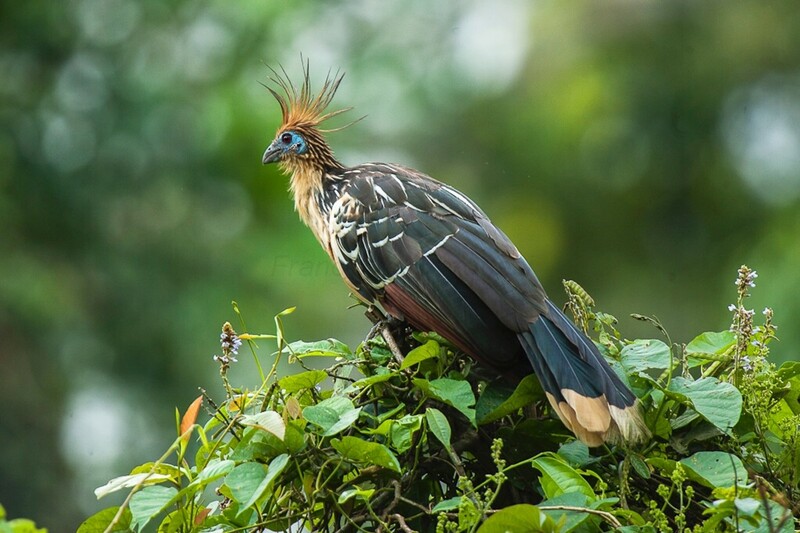 I hope researchers discover more about the hoatzin. A fascinating write up about such a different bird. You wrote with great interest and I enjoyed reading. Hi, Bill. They are certainly unique birds! I appreciate your visit. Hi, Genna. "Punk rock bird" is actually my favourite alternate name for the hoatzin! As far as I know, only humans are deterred by the bird's smell. Thank you for the comment. What a unique and pretty bird. I love all types of birds and find them so interesting. It is interesting that can swim under the water when threatened. I know some birds dive in the water for food, but this sounds different. Hi Linda. What an unique and interesting looking bird. I had never heard of the hoatzin? They are beautiful. Thank you for the education. Bizarre is right. "Punk rock bird" is a perfect description for this poor little guy who at first glance is reminiscent of some kind of hangover from the Mesozoic Era, including the claw-bearing chicks. But what beautiful colors. At first glance, one wouldn't think that they are herbivores. Their helpers are endearing. Does their smell help dissuade predators or is it only humans that find it offensive? Very interesting article, Linda, and beautifully presented. Hi, Flourish. I think the existence of helpers is a very interesting aspect of their life. Thank you for the comment. I hope you have a great weekend. What a beautiful and strange creature. I especially like that they have helpers in building nests and hatching young. Hi, Manatita. I like the bird's colours, too. They often look lovely, especially when a bird has opened its wings. Very interesting bird and it has really nice colours. Looks like I may have seen it at home in Grenada. Not sure. Thank you for the comment, Chitrangada. It is a unique bird. Nature is very interesting! Thanks for introducing us to this unique bird! 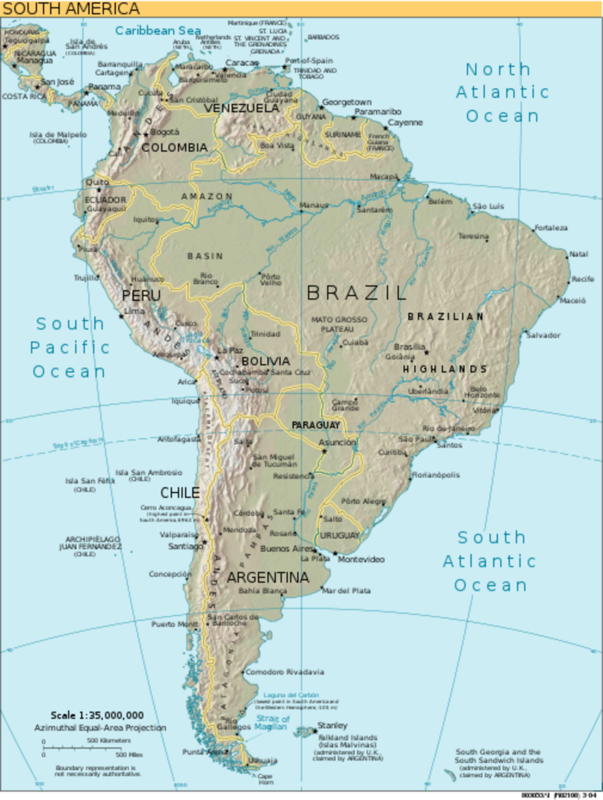 As you mentioned above that they are found in northern part of South America, I don’t think I have ever seen or heard about this unique bird. The detailed information you provide about these special birds is interesting and I enjoyed reading it. Thanks for sharing the pictures of the bird and other details. Hi, Mary. I think they are interesting birds, too. Their unusual characteristics are fascinating. This is the first time I've heard of hoatzins. They are really interesting especially in the care of their young. I would like to see one. Thank you very much for the visit and the kind comment, Liz. This is an incredibly informative article. I have learned a lot from it about the hoatzin. Hi, Bill. 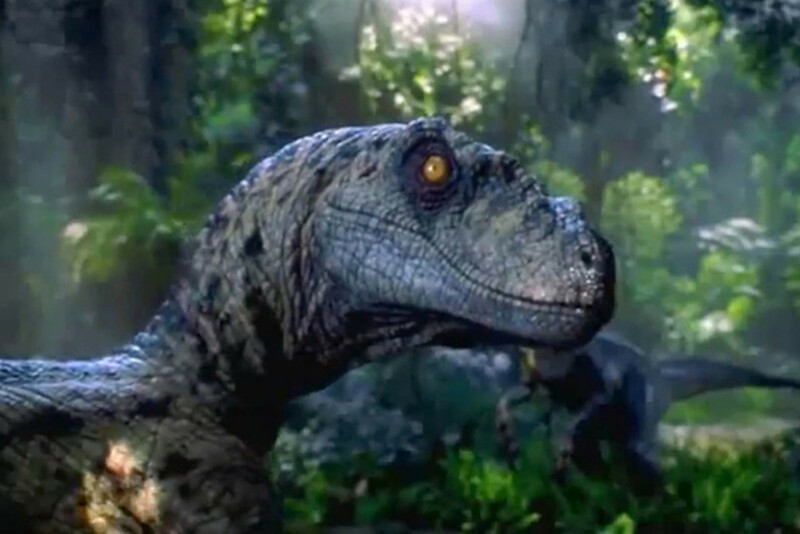 "Prehistoric'" is a good word to describe the bird's appearance! Thanks for the comment. Thanks, Eman. I appreciate your visit. Hi, Jackie. Thanks for the visit. "Almost so ugly it is beautiful" is a great description of the bird! I've never heard of a baby bird being called a cub, either. The video is good, which is I why I included it, but I think there may have been a translation error when the creator was making their title. Thank you very much, Viet. It's certainly a strange bird! Facts I may not know? Start with the stinkbird itself. Never heard of it, never seen a picture of one. Thanks for the interesting article. It does look sort of prehistoric. It is a very informative article, Thank you. Have never seen this bird before that I recall so thanks for all the great info on it. I have never heard of a bird's baby being called a cub. If I get to show off my new intelligence I will think of you! It is almost so ugly it is beautiful, not so with that cub! I've never heard of this bird before! It looks like a cross between a pheasant, a vulture AND a turkey. And it stinks?!? That is really strange. Thank you, Linda, for a mesmerizing article. Now I want to go to South America to see the bird in person!